How to Achieve Your Goals in Life? One Simple Strategy. With this post, I just want to put some thoughts down that I have noticed while observing multi-million dollar businesses operating. When I began my online marketing journey, I knew the risk that I took. Because the facts talk for themselves – more than 95% of those who start internet marketing, fail. Why? Because people don’t wont to work, that’s why. If you knew how to make $1200 a month online, from the comfort of your home, would you do the work? Listen. Creating your own passive income stream online is absolutely possible. Yes, you can do it. But it requires that you invest your time and work. Why do People Fail and Quit? Do you know when most people give up and quit? In the very initial phase! A jaw dropping 97% of all starters give up and quit in their first year. Can you imagine! It must tell you something, do you agree? They don’t quit in their 5th but 1st year! It’s hard when you work and work and work yet the only rewards are even more setbacks and difficulties. Often it seems that success is almost there… Just around the corner. You keep working, but this long awaited breakthrough never seems to come. Even worse. Soon you find out that there are people who start later than you, yet with very little time and effort they already see impressive results. And you… You are still struggling and hustling. This is the point where you want to give up and quit. Remember, 97% of all do exactly this. Wrong expectations. People expect fast success. When it does not happen they give up. How to Achieve Your Goals in Life? You can avoid quitting. You can achieve your goals. The following should bring a great deal of light to how businesses plan their success. The fact is (and you will see it soon) that even billion dollar businesses often need years of hard work and hustle before they succeed. It’s about a long-term strategy. I give you some very powerful examples to prove my case. The most expensive sport in the world. A billion dollar business that involves the best brains in the world. With this in mind, you can learn a lot from them. At November 23rd, 2014, in Abu Dhabi, British driver Lewis Hamilton clinched his 2nd World Championship title. Yet it took him whole 6 years of hard work to achieve that. His first title comes from 2008. Are you willing to work hard for 6 years to achieve YOUR goals? Lewis Hamilton did that. Mercedes, the Premium class car maker joined the Formula 1 racing series in 2010 by buying up then victorious Brawn Formula 1 team. By purchasing 2009 title winners Brawn GP, Mercedes hoped to step to the highest step right away. Yet there is no easy path to success and the next 3 years Silver Arrows were doing horribly. In their fourth year in Formula 1, they did already pretty well. 2014 was their 5th year in the sport and they completely dominated it, winning 16 out of 19 races. One of the major reasons for Mercedes 2014 dominance was Mercedes’ innovative power unit which was a class of itself. But do you know how long did it take them to build it? Now think about it. Mercedes entered the sport in 2010 but already in 2008 they invested heavily to prepare themselves for their 2014 success. They dominated the sport this year, but it was not just a luck or an accident. They had worked hard for 6 years to achieve their goal. Following Mercedes’ example, are you willing to work hard for 6 years to achieve YOUR goals? Here’s something you can do, at home and at your own pace, to make $1200+ a month online. I’m not telling you it’s going to be easy… I’m telling you it’s going to be worth it. Click now, and feast. „Michael Schumacher win 2004“ von Rick Dikeman – en:Image:M schumacher win 2004.jpg. Lizenziert unter CC BY-SA 3.0 über Wikimedia Commons. Michael Schumacher, the most successful Formula 1 driver in the F1 history has a similar track record. He joined Formula 1 in the middle of 1992. Both, his raw talent and a competitive team combined enabled him quickly clinch his first 2 championship titles (1994 and 1995). After that he joined then heavily struggling Ferrari. It took Schumacher 4 years of extremely hard work to finally achieve his goal and win his 3rd title with Ferrari (2000). Four years is long enough time to get frustrated and give up. Yet he did not do that. And from 2000 to 2005 he clinched 5 World Championship titles in a row. It’s great to win 5 championship titles but who wants to spend 4 years working hard with no taste of success? If you are willing to put in the same amount of effort you will achieve your goals too. 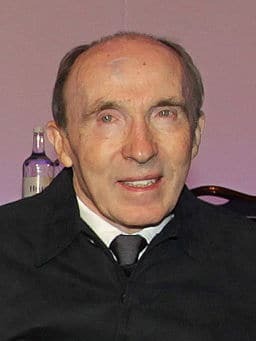 Frank Williams, a founder of the Williams Formula 1 team just impresses me. He is already over 70 years old and since 1986, he has been locked into a wheelchair. Yet his commitment, passion and perseverance are just awesome! His team has met tremendous success in the last 3 decades. “Williams has won 16 FIA Formula One World Championships (nine for constructors, in partnership with Cosworth, Honda and Renault, and seven for drivers, with Alan Jones, Keke Rosberg, Nelson Piquet, Nigel Mansell, Alain Prost, Damon Hill and Jacques Villeneuve). The team has scored 114 victories, 297 podiums and 127 pole positions,” says their website. They were successful until big car makers began to enter into the sport. As a private team, Williams struggled to keep up with those giant factory teams like Honda, Toyota, Renault, etc. The last 9 years Williams F1 has been rather a midfield team. 2011 and 2013 were their worst year in the sport. In both years, Williams collected only 5 points and finished 9th in the Constructors standings. It was a complete disaster for once so glorious racing team. At the end of 2011 Patric Head, a British engineer who had been with Williams F1 since it was founded in 1977, took responsibility and stepped down. Frank Williams had to continue without his long term partner. His team had become one of the backmarkers of the field and so Williams also struggled to find sponsors. I just cannot imagine where took Frank Williams motivation to keep going. Where did he find the strength to continue? Finally Williams got Martini to sponsor the team and Mercedes to sell them its engines for the 2014 season. And what happened in 2014? Williams rose from the ashes and clinched 3rd place in constructors’ championship! The last time when they were 3rd or better was in 2003 (11 years ago). Being a private team Williams beat big brands like Ferrari and Mclaren fair and square. Frank Williams is a living example of perseverance and commitment. It’s easy to walk from glory to glory but are you willing to suffer for almost a decade without quitting? Perseverance is a key to win. You want to build online business. Here’s the fact. A whopping 97% of new internet marketers quit in their first year! It tells you something, doesn’t it? This American billionaire and entrepreneur is yet another great example to learn from. Gene Haas has been successful in the American Nascar racing series. After all, his Stewart-Haas Racing won Nascar 2014 championship. In 2016 Gene Haas plans to join Formula 1 with his newly created Haas Formula 1 team. Formula 1 is a completely new territory for Haas so what are his expectations? This is what impresses me most. After all, he is a hugely successful businessman and racing team owner. How does he takes his new challenge? What? He allots 5 year long time slot for just surviving? This is not an average 9-to-5 worker or failed businessman who does not know how to run a business. His businesses generate a billion+ dollars per year! And yet his thinking is – the first 5 years are just for survival. It means that the earliest when Gene Haas expects to start gaining some success in Formula 1 is in 2022! Hey! How much have YOU thought about year 2022? Where do you plan to be with your online business in 2022? So how Gene Haas plans to succeed? “I just never give up and keep trying, trying and trying. I just keep hammering away. If you keep doing something long enough, you learn how to do it and I don’t think F1 is any different. This should be your approach when tackling internet marketing. First do it a little bit better than others. Second, never give up and keep trying, trying, trying until you master it. Third, give yourself time to survive. The fact is, it takes years, often a decade or more to master something. And internet marketing is no different. Successful bloggers say that it takes about 4 years to learn it. So allow yourself time to master it. If you don’t do that, probably you will fail. I already told that 97% of all those who start internet marketing, quit in their first year. They expect fast results and without achieving them, leave disappointed. Fernando Alonso is considered to be the best racing driver in the Formula 1 grid today. 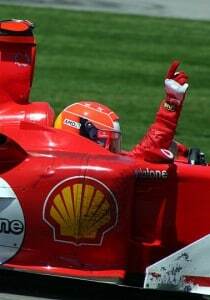 In 2008 he joined Ferrari in hope to add few more championship titles to his tally. But Ferrari has failed to deliver and Alonso got growingly frustrated. Finally he left the team in the end of 2014 season. Alonso’s new destination is McLaren. This once tremendously successful team has also suffered in recent years. In 2015 McLaren will switch from Mercedes’ engines to Honda power units. Honda is returning to the sport as an engine maker and both McLaren and Alonso have put their hopes on Honda. So what are their expectations? Do Alonso and McLaren expect to win right away? “Alonso at 33 knows that he needs to win another championship in the next two to three years,” states James Allen in his blog post. It means that age is not on Alonso’s side. He does not have another 5 years to wait. If he ever wants to get his 3rd title he has to deliver. And to deliver fast. Yet even in these conditions his time slot is 2 to 3 years. Neither Alonso nor McLaren expect to win the Championship in 2015. Their focus is 2016. Now think about it. If you planned to work hard the whole 2015 to prepare yourself for 2016 breakthrough, would it be possible? It does not mean 2015 success is excluded. Far from it! You might meet tremendous success already in 2015. What I want to say, if you set your goals on 2016 like McLaren and their star driver Alonso, you probably would achieve better results than when going for fast success. In case you will not succeed in 2015 you will not be disappointed. Ferrari is fabulous brand with glorious Formula 1 racing history. With the help of Michael Schumacher, Ross Brawn, Jean Todd and others they won the championship 5 consecutive years (2000-2004). But since 2008 they have not been able to win any championships. Ferrari wants to win again and wants if fast. Yet they understand that the gap with Mercedes and other top teams is too wide. It takes time to catch up. So Ferrari (Think about it. It’s Ferrari!) has minimum 3 years restructuring plan. These 3 years are 2015, 2016 and 2017. It means, Ferrari expects to be back on a very top somewhere in 2017 or 2018! In this post I gave you 7 powerful examples of today’s business world about how multi-million dollar businesses plan to achieve their goals. And how much does it take time for them. The bottom line is, if you want to succeed, you need to allot time to survive and build a strong foundation. Be impatient and expect fast results and you most probably end up in a failure. If you follow the lessons above, lessons from Sir Frank Williams, Gene Haas, Ferrari, Mercedes, McLaren, etc. you will avoid disappointment and temptation to give up. Instead, you will build a solid foundation for your online business and that will reward you for years to come. What other strategies do you use to achieve your goals? Please drop me a comment below. I would love to hear from you. My name is Egon and I am the owner of EgonSarvReviews.com. 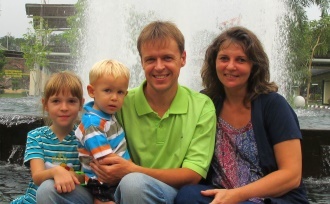 I am a devout husband and a father of 4; a former missionary to Indonesia where I worked as an IT, Math, and Sci teacher; in schools that served the poor. Now I am committed to combating online scams and helping those who want to make *honest* income online. If you're interested, just pop over here... You're in for a treat. I enjoyed reading this article. For me I like to set goals that are easy to attain and require very simple steps to achieve but give me a lot back in return. I think you nailed it when you said don’t expect fast results. Results take time! I’ll see you there, okay? Here’s something you can do, at home and at your own pace, to build your own passive income stream online. ARE YOU looking for ways to create a legit passive income online? Then this site is for you (even if you are a complete newbie). What About the Cash Finder System Scam – A ‘Golden Key’ to Riches?